The venerable Easy-Bake Oven was launched to the masses this week on November 4, 1963. An important time in the toy oven’s fifty-plus year history began in 1967 when General Mills acquired Kenner Products. At that time, the company saw an ideal fit between their Betty Crocker and Easy-Bake Oven brands. Initially, General Mills repackaged Easy-Bake box mixes in replicas of Betty Crocker packaging that children recognized from their parents’ kitchens. Betty Crocker-branded baking kits soon followed, and in 1969 a new Betty Crocker model of the Easy-Bake Oven was released. Children also got to experience promotional marketing like their parents did, as Betty Crocker coupons were included across the entire Easy-Bake Oven line, allowing kids to shop the coupon catalog with Mom and Dad. Betty Crocker remained a staple in Easy-Bake Oven branding until 1987, when Tonka Corporation acquired what was then called Kenner-Parker Toys from General Mills. 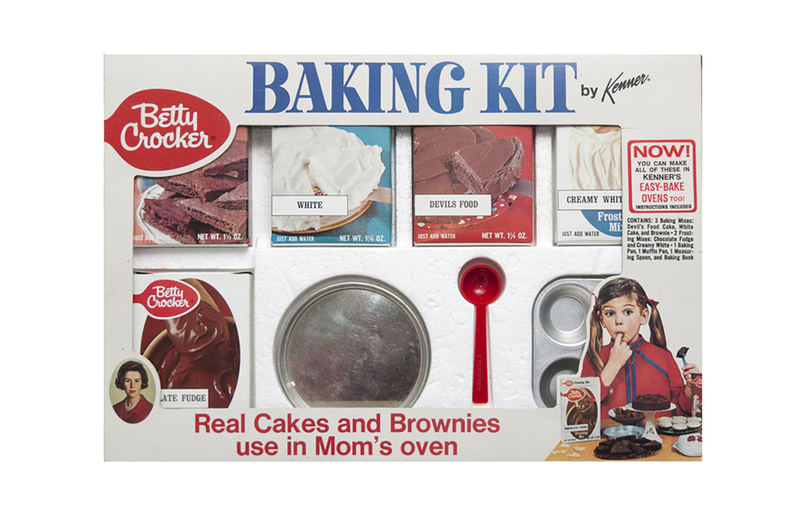 More than 20 years later, Hasbro briefly re-introduced Betty Crocker in several mix sets in 2008 and 2009. 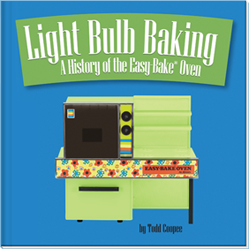 For more Easy-Bake Oven history, check out my book, Light Bulb Baking!